Designation of Origin (DO): Getaria. Native variety 100% 'Hondarrabi Zuri'. Recommended serving temperature between 6º-8ºC. 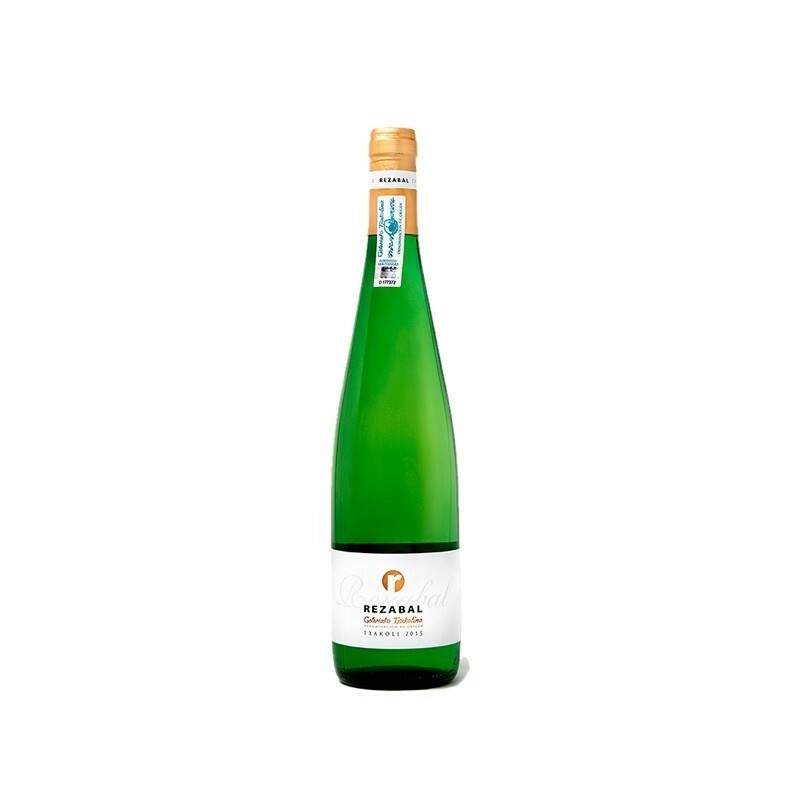 Txakoli Rezabal is a vivacious product with its own unique personality, expressing itself rather like people do. Txakoli is described as 'vivacious' because it is fresh, light and easy. Its aromatic profile is fresh, passing smoothly through the mouth and easy to swallow. Txakoli is for enjoying. A crystalline yellow color with sparkles of green. Fine bubbles which denote youth and gaiety, and an intense aroma of fruits reminiscent of citrics and green apples. In the mouth it is nice and pleasant. The coolness of the refreshing and captivating acidity of the grape stands out.